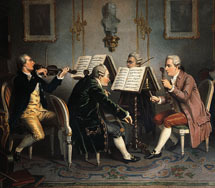 Hörmannsperger, Johann Franz, “Ballroom with Musicians” from Privatalbum. 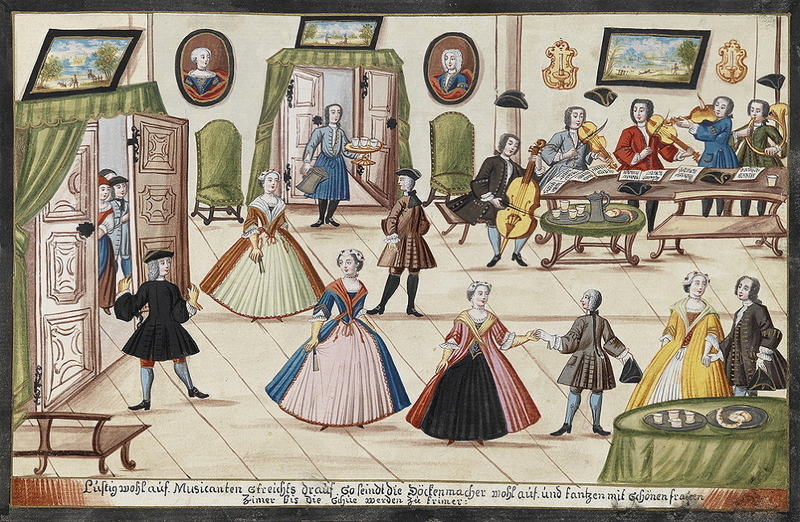 Hörmannsperger, Johann Franz, “Ballroom with Musicians.” Gouache #5 from Privatalbum (Vienna, 1736). Antiquariat Inlibris, Gilhofer Nfg. GmbH, Vienna (previously sold Dorotheum, Vienna, 4 December 2012, lot 64). Horemans, Jan Josef, II, Elegant Company Playing Music in an Interior. Langendijk, Dirk, Elegant Interior with Chamber Music.